SIRAHA, Dec 17: Contractor and representatives of local units have colluded to illegally extract river products from Kamala River that originates in Chure hills. The contractor, which is permitted by to extract river products from Kamala River in Karjanha Municipality of Siraha and Ganeshman Charnath Municipality of Dhanusha, have been found extracting boulders from the Chure hills as well. The government has permitted any form of extractions from Chure hills. 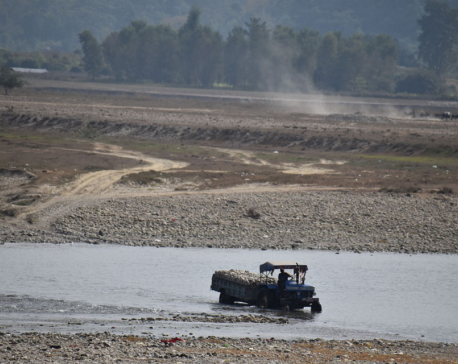 Ram Babu Yadav, the mayor of Ganeshman Charnath Municipality, said that the municipality was aware that the contractor was illegally extracting Chure hills for boulders by producing slips to extract river materials from the Kamala River issued by local units. “We have found that the contractor has been using slips issued by local units to extract materials from Kamala River to illegally mine boulder from Chure hills,” he said, adding that the municipality some days ago seized six tractors carrying river materials. But instead of taking any action against the wrong-doer, the municipality released the tractors after emptying the materials on the riverbank. The two municipalities have jointly awarded contract to extract river materials from Kamala River which flows between Dhanusha and Siraha districts. The contract has been awarded to Mirchaiya-based Bikas Nirman Sewa Pvt Ltd at the price tag of Rs 6 million a year. 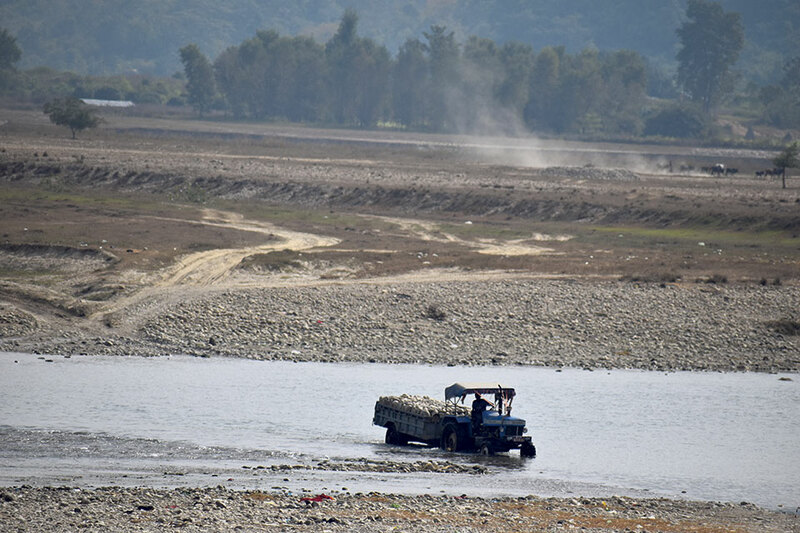 Though the contract allows Bikas Nirman Sewa Pvt Ltd to extract river materials only from Kamala River, it has been extracting boulders and other resources from the Chure hills. Locals say the contractor is still supplying river materials to crushing plants even though the river looks empty now. This suggests that boulder and other resources that the contractor is ferrying to crushing plants are extracted from other areas in Chure hills, they told Republica. About 100 tractors supply river materials to a crusher plant and Bandipur every day, a tractor driver told Republica. “This has been going on for the past three months. 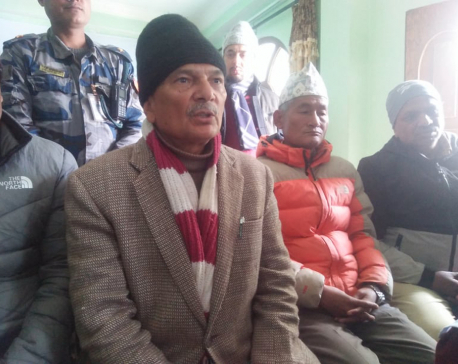 Local administration is not doing anything to stop this as police and local units are working hand in glove,” a local told Republica, requesting anonymity. Though there is a traffic police post at Bandipur, the overloaded tractors ferry river materials without any hindrance. KC is worried that floods could affect East-West Highway as well.